At least that's what it seems like when you peruse through portraits of people from the Victorian Era. I know it had much to do with the eternal shutter speed of taking photos at that time. I'd look miserable too if I had to stand perfectly still for 20 minutes or so. "By the 17th century in Europe, it was a well-established fact that the only people who smiled broadly, in life and in art, were the poor, the lewd, the drunk, the innocent, and the entertainment." 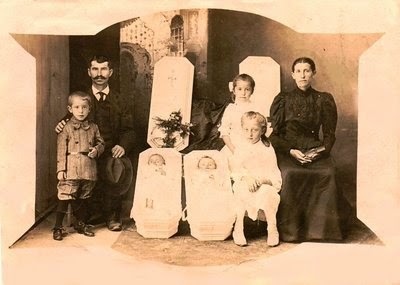 Sometimes however they didn't smile for a good reason, like in this Postmortem Portrait. Anyway, way back in 2006 I had my own Victorian portrait taken. (I know what you're thinking, looking sharp!!). 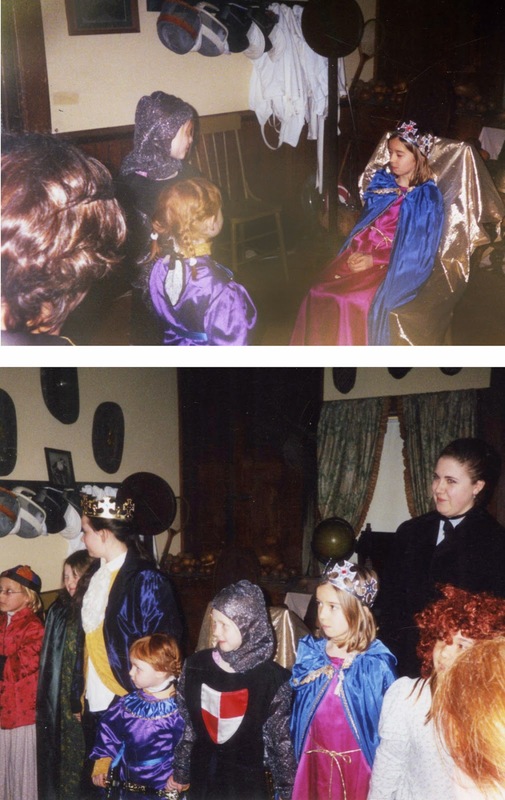 I visited The Brown House Inn in Amsterdam, New York,with my daughters and their Girl Scout troop. 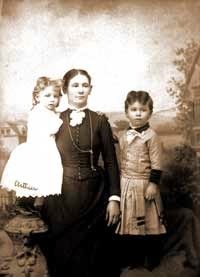 They dressed us up in Victorian style clothing and began to teach us proper behavior. After the play was "tea time". 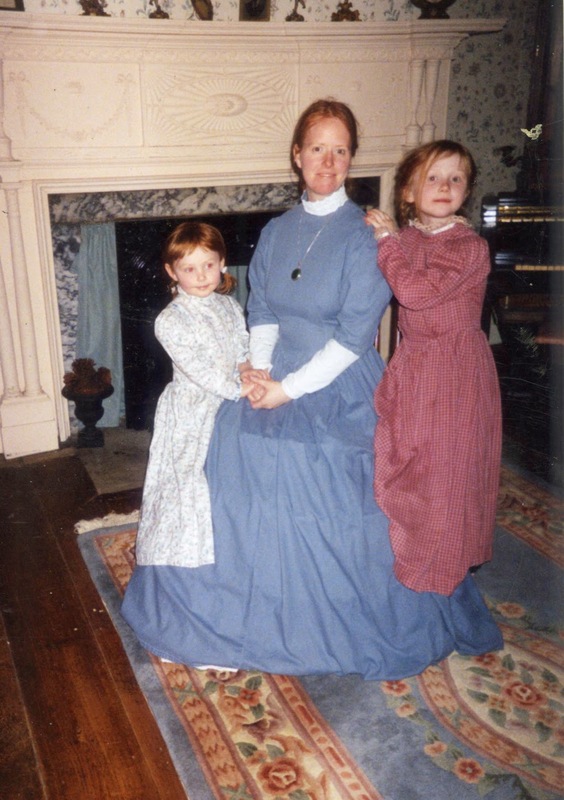 We all sat down to a formal Victorian tea, and again we all had our roles to play, hostess, honored guests, and maids. In our roles, some of us poured the tea and gossiped, while the maids stood to serve us. The girls all wanted to be maids for some reason, I guess there was more to do. 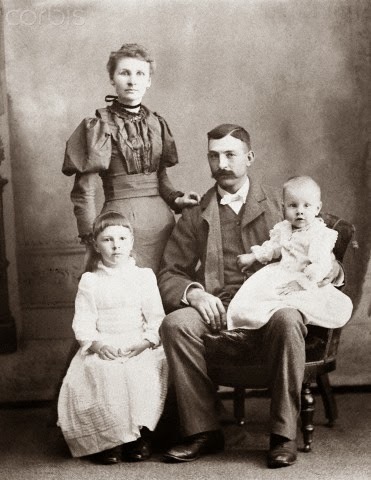 It's interesting how for Victorian people the only documentation of their lives is a handful of stoic photos, when our lives today are documented almost by the minute. A friend of mine was taking selfies at her father's memorial just a few weeks ago. Hmmm... I guess that's very similar to what they used to do, at least the clothes are better now.